Hi there! Laura here and today I have a project to sharing featuring some of the new sets from the Winter 2018 Collection. To begin I embossed the beautiful snowflake image from Merriest Snowflake with clear embossing powder onto Distress Watercolor Cardstock. 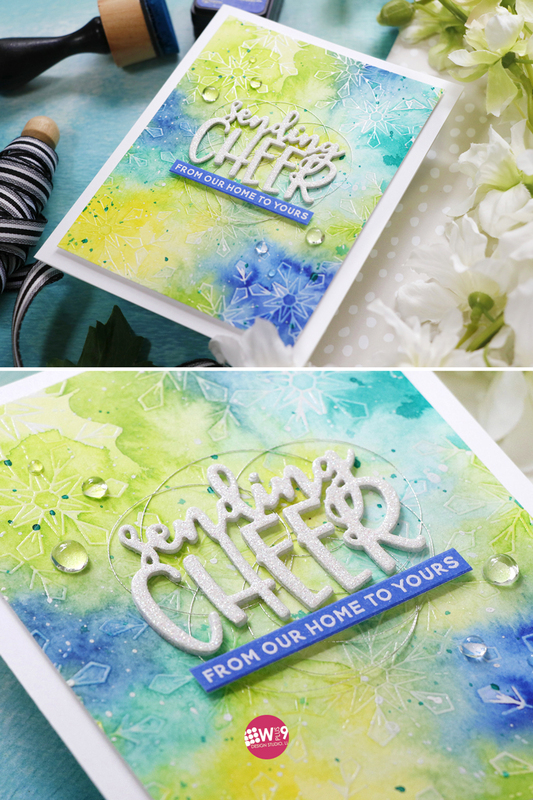 For the sentiment I used the Sending Cheer die and die cut several with white cardstock as well as one with white glittered cardstock. I stacked them up adhering them together for added dimension. I also embossed a coordinating sentiment from Merriest Snowflake. I hope you enjoyed this tutorial. 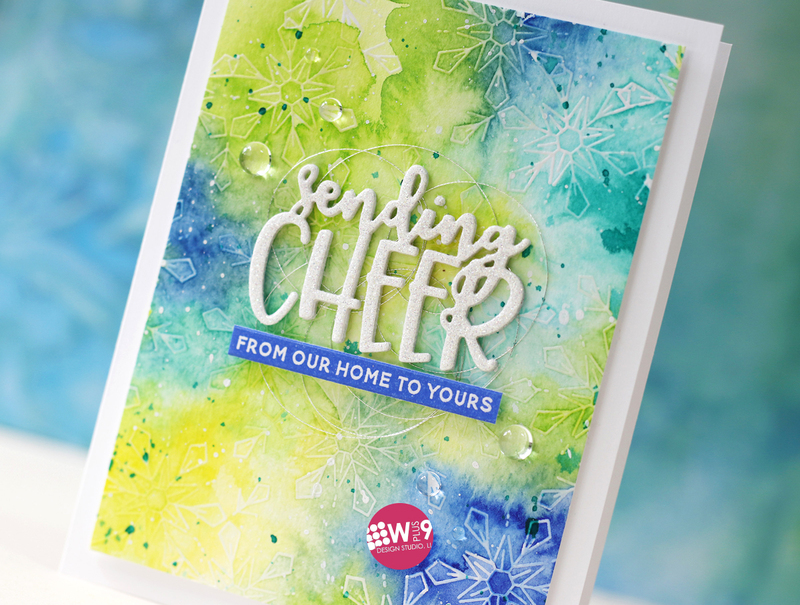 Sending you lots of cheer today! Thanks so much for stopping by! When you say you painted with Liquid Watercolors, are you referring to reinkers or refills? Love your card and fun to watch. Thanks. I love watching you because you make me laugh - I think everyone needs to laugh more these days. Great tutorial - gorgeous colors & your nest is the cherry on top. Happy Halloween to you, Laura. Laura, this is such a gorgeous card! The embossed snowflakes and lovely background are perfect together. I just couldn’t help myself and placed an order for this stamp set and die after seeing your pretty card! Can’t wait to play! I really enjoyed your detailed video and look forward to many more! Beautiful card! The snowflake images look like crystals - they are so pretty. Love that deep blue color in the background and the metallic thread behind the sentiment. This is so beautiful Laura, I am a huge fan of snowflakes and these ones are so detailed. A great card! Beautiful subtle background with these pretty snowflakes and the palette is lovely. Thanks for sharing your tips and the technique video. I think your card is perfect!